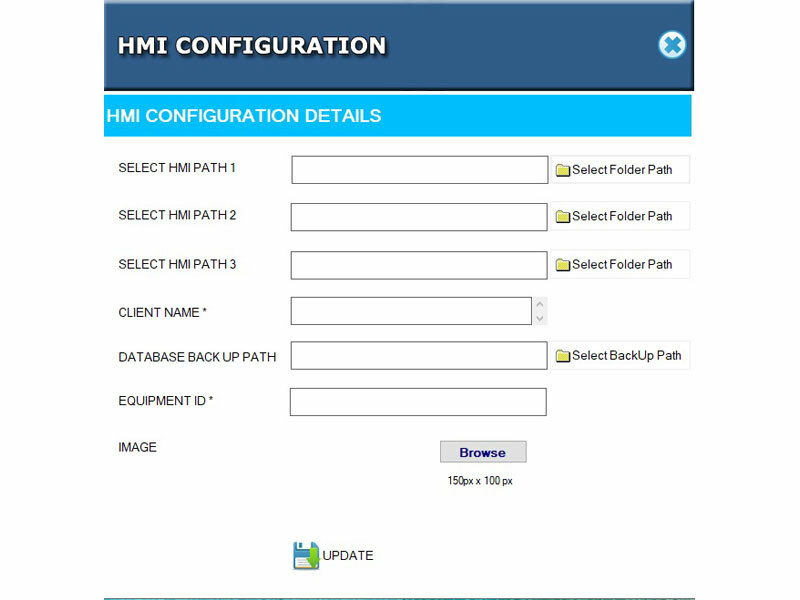 a)	Select HMI Path : This allow user to select folder where HMI files are getting copyed / transferred from HMI to PC/IPC Folder. b)	Client Name : This allow user to enter client name which will be displayed in HMI Audit Reports. c)	Database Back Up Path : This allow user to select folder where database backup will be created automatically daily. d)	Select Logo : This allow user to Select Logo which will be displayed in HMI Audit Reports. • HMI Audit Reporting Utility This utility allow user to see the HMI Audit Report based on From Date Time & To Date Time selection. Report will be generated in crystal report (non-editable) and user can take direct print of that generated report. • HMI Audit Reporting Service This will be a windows service whch will be run on background. This will read HMI Audit File (.CSV) on periodic basis and will dump the data in to SQL database. • ALARM Audit Reporting Utility This utility allow user to see the Alarm Audit Report based on From Date Time & To Date Time selection. Report will be generated in crystal report (non-editable) and user can take direct print of that generated report. •	Batch Reporting Application This utility allow user to Search Batch on From Date Time & To Date Time selection. Batch will be populated on dropdown and user will select the batch from the dropdown and click on Batch report. Batch Report will be generated in crystal report (non-editable) and user can take direct print of that generated report. •	Batch Reporting Service This will be a windows service which will be run on background. This will read Batch File (.CSV) on periodic basis and will dump the data in to SQL database.